WOW! 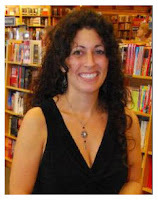 Women On Writing Blog: Melissa Foster, author of Megan's Way, launches her blog tour! Melissa Foster, author of Megan's Way, launches her blog tour! How many different kinds of parental love are there? Is it more loving to hold on or to let go? Melissa Foster's novel Megan's Way addresses those questions and more. Melissa Foster is founder of the Women's Nest, a social and support community for women. Melissa has written a column featured in Women Business Owners Magazine, and has painted and donated several murals to The Hospital for Sick Children in Washington, DC. Melissa is currently working on her next novel and collaborating with a director to create a script for Megan's Way. Melissa's interests include her family, reading, writing, painting, friends, and helping women see the positive side of life. Although Melissa lives with her family in Maryland, she uses every and anything as an excuse to visit one of her favorite spots: Cape Cod. Book Giveaway Contest: If you'd like to win a copy of Megan's Way (print or e-book), please leave a comment at the end of this post to be entered in a random drawing. For an extra entry, link to this post on Twitter with the hashtag #MegansWay, then come back and leave us a link to your tweet. The giveaway contest closes this Thursday, June 2nd at 11:59 PM, PST. We will announce the winner in the comments section of this post the following day, Friday, June 3rd. Good luck! When Megan Taylor, a single mother and artist, receives the shocking news that her cancer has returned, she'll be faced with the most difficult decision she's ever had to make. She'll endure an emotional journey, questioning her own moral and ethical values, and the decisions she'd made long ago. The love she has for her daughter, Olivia, and her closest friends, will be stretched and frayed. Meanwhile, fourteen-year-old Olivia's world is falling apart right before her eyes, and there's nothing she can do about it. She finds herself acting in ways she cannot even begin to understand. When her internal struggles turn to dangerous behavior, her life will hang in the balance. Megan's closest friends are caught in a tangled web of deceit. Each must figure out how, and if, they can expose their secrets, or forever be haunted by their pasts. 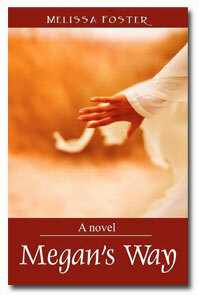 Megan's Way is available for purchase through Amazon as a paperback ($14.95) and as an ebook Kindle edition ($0.99). It's also available through Smashwords. WOW: Against the backdrop of parental love, the characters of Megan's Way dealt with terminal illness and a spiritual connection between people. Do you have personal experience with either of these that influenced you to include them in your book? Melissa: The storyline of Megan's Way came from a very personal event in my life. It had a profound impact on my view of relationships and the safety of them. It made me realize that people can make decisions that might be unthinkable to those around them, but make complete sense to them. I have lost loved ones that I hadn't realized that I'd had strong spiritual connections with, and it turned out that I did. I've had strong spiritual connections to people who I have not loved, but who those I know have loved. I believe that we all are capable of having strong spiritual connections, but it's something that our society doesn't accept as "normal," so people tend to not be open to experiencing such things. Megan's Way and Chasing Amanda have underlying paranormal/spiritual themes because it was part of the characters' being, and particular life experiences definitely played a role in the creation of them. WOW: I've had research on the mind lately, but for my research it was as simple as calling my local recruiting office and asking them a few questions they were more than happy to answer. It occurs to me that doing research about people living with terminal cancer or spiritual connections can't be that easy. Did you seek out people during research and was it difficult to convince them to share their experiences with you? Melissa: Research can be done in many different ways. I did not reach out to people with terminal illnesses, but I did reach out to those who had loved ones who had terminal illnesses, and remember, the Internet is your friend. There are many online forums where grief and illness are discussed in detail. Finding the inner turmoil was an easy leap for me, as I put myself into Megan's shoes, as a parent, and into my own shoes, as a daughter. WOW: Megan's Way is being adapted to film and should be making the rounds of the film festivals this year. Could you tell us how this marvelous event came about? Did you write a screenplay and approach a filmmaker? Did a filmmaker approach you? Melissa: This was an interesting path. Shortly after Megan's Way became available, readers were inquiring about adapting Megan's Way to film. I hadn't really thought about it much, and decided to just take a stab at it. I have no fear (and apparently no shame), so I called Dakota Fanning's agent, thinking that I'd never reach her, but at least I would have tried. She spoke with me on the phone, seemed interested, and I sent her a copy of the book to read. A few weeks later she requested two more copies, one for Dakota and one for her manager. I submitted those, and followed up about two months later. I received an email stating they loved the story and asking to see a screenplay so they could see if it would be a fit. I've since learned that the scenario was very unconventional, and who knows, she may have just been having a generous day. In any case, I went to work hiring a screenplay writer, and we developed a script that enhanced the role of the teen character. That script is called Pieces of Me. It's a strong script, but was not picked up. From there, I networked with everyone I knew, told them what had happened, and a year later, someone referred me to the director that I'm now working with. WOW: Amazing! Just another example of how a writer's work isn't done once they type "The End." Were you thinking about the film possibilities for Megan's Way even when you were writing the novel? Melissa: Probably. Every writer wonders, What If. WOW: True, I think we all play that If I Was Casting the Movie game with our fiction. Did you write the screenplay? Melissa: In the case of Megan's Way, yes, I wrote the screenplay, but quite by accident. Before hiring the screenplay writer (as previously noted), I took my hand to creating the script. I wrote a direct adaptation. Being an unconventional person, I then researched scripts and script writing, and was told (by many) that novelists were not screenplay writers and that I should hire someone who "knew" what they were doing. In the end, the director that is doing the film loved my adaptation, and that's the one she's producing. WOW: So many writers are disappointed about the results when one is captured on film. How do you feel: worried, excited, impatient? Melissa: I am thrilled that someone wanted to produce Megan's Way and bring it to film. For me, I've accomplished capturing someone's attention and succeeded in taking it to the next level. That's a feat in and of itself. I trust the director--she and I have similar visions. I'm excited and very impatient (as I am in every aspect of my life), but mostly I'm thankful. Even if the film doesn't turn out to be exactly what I might anticipate, it's likely to be a compelling, emotional journey. WOW: And we're looking forward to following that journey. Aside from the film version of Megan's Way, what can we expect from you next? Melissa: My third novel, Come Back to Me, is an international love story/tragedy. Tess Johnson has it all: handsome photographer/husband, Beau, a thriving business, and a newly discovered pregnancy. When Beau accepts an overseas photography assignment, Tess decides to wait to reveal her secret--only she's never given the chance. Beau's helicopter crashes in the desert. As Tess struggles to put her life back together, and accept the growing child inside of her, a new client appears, offering more than just a new project. Meanwhile, two Iraqi women who are fleeing Honor Killings find Beau alive, his body ravaged. Suha, a doctor, and Samira, a widow and mother of three young children, nurse him back to health in a makeshift tent in the middle of the desert. Beau bonds with the women and children, and together, with the help of an underground organization, they continue their dangerous escape. WOW: It sounds like once I get my hands on Come Back to Me I won't be able to put it down until I get to the last page! Keep us updated. Join Melissa on her tour! Check out these dates and mark your calendar. You can also snag a copy of WOW's Events Calendar here. June 1, Wednesday @ Musings from the Slushpile: Learn about "Weaving a Theme Throughout Your Writing" from Melissa Foster. You can also enter to win a copy of Megan's Way. June 2, Thursday @ Writing Come Hell or High Water: When was the last time you stared at a blank sheet of paper (or a computer screen) and thought, I just can't do it! Melissa Foster, author of two novels and working on her third, will be sharing her tips for dealing with anxiety. June 8, Wednesday @ Tea Time with Marce: Don't miss a review of Melissa Foster's novel about family and secrets, Megan's Way. June 10, Friday @ Books, Books, the Magical Fruit: Learn more about novelist Melissa Foster in today's interview and enter to win a copy of Megan's Way. June 16, Thursday @ Books and Other Creative Adventures: Do you have secrets? If you were dying would you unburden yourself or take your secrets with you? Coreena reviews Melissa Foster's Megan's Way--a novel all about secrets. And don't forget to come back Monday for a post about writing while raising a family. June 17, Thursday @ Fresh Fiction: Stop by for a surprise post from Melissa Foster and a chance to win a copy of her novel Megan's Way. June 20, Monday @ Books and Other Creative Adventures: Authors often call their book "their baby." But what if you have six other babies? Melissa Foster, author of Megan's Way, writes about balancing writing with a family of six children. June 23, Thursday @ Kritter's Ramblings: Find out what Kristin thinks of Megan's Way. Return on Saturday for more about Melissa on Kritter's Ramblings. June 24, Friday @ Steph the Bookworm: It's time to get in the habit! Melissa Foster posts about making writing a daily habit. You can also read a review of her novel Megan's Way. June 25, Saturday @ Kritter's Ramblings: Don't miss an interview with Melissa Foster about her novel Megan's Way, which is being developed into a film. Book Giveaway Contest: Enter to win a print or ebook copy of Melissa Foster's novel Megan's Way! 1. For your first entry, just leave a comment on this post! Leave a comment or ask Melissa a question, to be entered in a random drawing. 2. For an extra entry, link to this post on Twitter with the hashtag #MegansWay, then come back and leave us a link to your tweet. The giveaway contest closes this Thursday, June 2nd at 11:59 PM, PST. We will announce the winner in the comments section of this post the following day, Friday, June 3rd, and if we have the winner's email address from the comments section or profile, we will also notify the winner via email. Good luck! This sounds like one I would enjoy. I'd love to be entered to win an e-book of this! Thanks so much. Hi! *waves* Great interview!! I can't wait to have you over to my place this week :) So excited for all these amazing things happening!!! Congrats! Thanks, Jodi! I'm excited to get started! Julie - looking forward to hanging out with you on your blog and meeting in Ohio!!! 'Megan's Way' sounds like an interesting, thought-provoking read which I'm looking forward to reading; and I can't wait for 'Come Back to Me', it sounds right up my street! Congratulations on the film adaptation of your novel. How exciting for you, especially since it is going to be based on your own screenplay. Way to take some initiative! I also enjoyed your interview and am adding both books to my TBR pile. I'll also happily blog about your blog tour over at my little corner of the world as well. The description of the book reminds me so much of what my sister went through with her own daughter. I really must read this! Congratulations on the blog tour, Melissa! "Megan's Way" sounds great, and I'd love to read it. Enjoy your week. Melissa, you seem to successfully walk a fine line of letting go of your "baby" so others can work on it, for example, writing a screenplay and making the film. Still, you obviously push hard to share your vision and to make it into a reality. Do you have a phrase/quote that comes to your mind whenever you are trying to balance on that fine line? Great interview! Congratulations! Can't wait to see the movie of Megan's Way. Looking forward to reading this and seeing the movie. One question for you. You said you reached out to people who had loved ones with terminal illness for "Megan's Way", how did you do your research for your third novel? I think the book sounds interesting and I really liked the interview. The third book sounds like a fascinating read too. Rechelle, thank you for the kudos. Can you please send me the link to your blog? I'll link to it from my site (thinkhappygirl (at) yahoo (dot) com. Thanks for the support! LuAnne, I'm so sorry that your sister and niece went through something so difficult. I'm fairly certain that Megan's story will leave you feeling hopeful. Many hugs. Julie, that's a great question! I live by one thought, and it applies to just about everything in life. "Enjoy each and every day, no one else will do it for you." By that I mean that you make a conscious decision every day to either enjoy the moments you are blessed with, or not. I choose to enjoy them, and for me, part of what makes me happy is sharing with others. I worked hard to bring Megan's Way to the world of readers, and now I have to trust in my director to bring it to the world of movie-goers. Geraldine, you are always so kind. thank you for the support. Hi Molly, my third novel involves lost loves and it's set in the US and in Iraq. Most of my research has involved people who have lived in both locations without their family members. I've also spoken with people who have lost loved ones, and people who have not had closure on lost loved ones. I've done cultural research as well. Thank you, Jobrerry, for stopping by. I hope you'll pick up Megan's Way. To everyone who has stopped by, thank you!! I truly appreciate your support. I'm hoping there will be many winners. I believe it is more loving and parental to let go! Best of luck with your novel. It looks great! Your description of the story and characters captured my interest. I'm looking forward to reading this book and watching the film. This sounds like an important book. Both the interviewer and you did a great job of capturing and sharing it. Melissa, I am touched by the subject matter of Megan's Way. I would love to win an e-book copy, but am likely to buy it if my luck is not with me in this. Mothers and daughters - how well I know that scenario. I look forward to reading Megans Way. But wow, Come Back to Me sounds like an amazing story too. Keep writing!! I think I might have found another favorite author:) I love the complex plots and the willingness to go outside conventional boxes. So, umm... am I even eligible to enter these contests?? Hi Gale - Thank you. I think Megan did the right thing for her and Olivia. Lynn, I believe Megan's Way is a very important book. The themes of love and forgiveness, the exploration of the depth of the mother-daughter bond, and the faith each friend had in the others, can add value to any reader's thoughts. Thank you. KMK - it's only 99 cents, so I'd say go for it! And you can win a Kindle (for a friend if you have one already - they make great gifts!). I hope you will let me know what you think of the story. I love to hear from readers. Thank you, Robin. I'm making great headway in Come Back to Me. I'm probably a month away from completion. Thank you for the support. Desmond, thanks for stopping by the blog tour kick-off. Good luck! Robyn, thank you. The interview was fun to do. I hope you'll check out Megan's Way and Chasing Amanda. Thank you to everyone who stopped by to check out the kick off of my blog tour. I hope you will visit each of the blog tour stops. The blog hosts will be giving away copies of my books, hosting interviews, and many guest posts. Great interview Melissa! I'm looking forward to the next one. Can't wait to read BOTH of these! Awesome!! Congrats on your wonderful news! Bet you could write the book on waiting, huh? I would like to read this Melissa Foster book! Megan's Way just won the 2011 Beach Book Award - Spiritual Category!! Thank you for all your comments and support. We held a random drawing via random.org for Megan's Way and the winner is...Andrea Buginsky! Congratulations, Andrea! Please email us at blogtour@wow-womenonwriting.com and let us know whether you'd like a print or e-copy of Megan's Way. If print, please include your shipping address. To everyone else: make sure you check out the other stops on this tour for more giveaway contests and fantastic advice from Melissa Foster. And be sure to check back on July 5th for the launch of Melissa's second novel, Chasing Amanda!